An old friend recently buzz me in facebook and ask for my advise. She has been invited to join a Multi-Level Marketing company called Nu Skin Enterprises, which holds office at 15th Floor, Octagon Building, San Miguel Avenue, Pasig City. I love Nu Skin and I've always used their products since time immemorial. But to ask me personally, whether she should join and invest her time and money for Nu Skin. I'd encouraged her to read up about Multi-level Marketing / Direct-Selling and the company itself, so she can make an informed decision. I've worked for an MLM company and I saw how tough it can be. Joining an MLM company is venturing into a field that is very much different from traditional business or traditional 8-5 jobs. It will literally turn your world around. It can make a shy person become extrovert. It can drain your time, money, your relations (it can break friendships, marriages...) However, if done the right way and one perseveres, the Reward is more than worth all the hardships. I've witnessed how one farmer, with the help of his persevering wife, literally moved their lives from agricultural existence to becoming world-class, often traveling abroad, owning cars, a beautiful home in Portofino, Alabang, all because of Network Marketing, and their choice of vehicle to success, was Nu Skin Enterprises, and it started right at the same venue, 15th Floor, Octagon Building. So, to help my friend, and to help my readers as well. I've compiled a checklist, to empower you to decide, if the company currently knocking on your door, and offering you this tremendous opportunity, is legitimate, ethical and something that is worthwhile investing all your talents, time, money and efforts. There's just so much companies out there promising the moon and the stars. We have to be wise in our decisions. The Worldwide Federation of Direct Selling Associations (WFDSA), has a local afiliate called Direct Selling Association of the Philippines (DSAP). Basically, it's a trade organization that adheres to a set of marketing and compensation standards to ensure that the industry remains legitimate, credible and rewarding for both the company and the distributors. 2. Are commissions are paid on Sales of products & services not on Registration or Recruitment Fees? 7. Do the products have a fair market value? If the answers to all 8questions are YES, then the company you are evaluating is a legitimate company. If there is any hint of NO, or uncertainty. Then, you need to think twice. The company might be a fly-by-night direct selling business or worse, a pyramid scam. There are 26 member companies of the DSAP in the Philippines, and one of which is Nu Skin Enterprises, Philippines. The others are Amway, L.L.C., Avon Cosmetics, DXN International, Dakki Classics Concepts, DEI-Dragonworld, Direct Shopping, Inc., Empower Marketing, Fern-C, Filway, Forever Living, 4Life Research, Ganoitouch,GNLD, Herbalife, Mary Kay, My Benefits Club, New Image, Nikken, Reliv, Sophie Paris, Sundance, Sunrider, Symmetry, Tianshi, Tupperware, Unicity, and Waters Philippines. Now, if indeed you have concluded that the company you are eye-ing is legitimate. The next question would be, is it The Best? Needless to say, why would you join something that's behind the pack? If you will invest time, money and efforts, invest in the Best. Success from Home Magazine, literally the bible of entrepreneurs, and innovators, recently came up with its own criteria how to tell the best MLM companies, among the hundreds of companies sprouting up each year. Does your chosen MLM company possess the following? 1. It should have some History of Longevity -- How long has the company existed? Only half-a-dozen MLM companies have made the $500 Million USD mark, a dozen has topped the $100 Million USD mark. Thousands of MLM companies start-up each year, only 2% survive for more than 5 years. 2. It should be Global. -- the company should be able to provide you the technology, and infrastructures to tap other markets. Is the country present in several countries? Does it allow you to participate in the business globally? 3. It should be Innovative -- you cannot keep selling the same product, with the same benefits, year after year. People's needs change and the company should always be on top of the game, continuously innovating, so you can offer new products in the market. 4. Credible Distributor Force -- the best companies usually attract similarly high-caliber individuals who are either established in their own fields, or whose values are unshakeable. 5. Company Values -- besides making money, what does the company do to give back to the community? Are you able to participate in it? Direct selling is one of the most profitable business, albeit non-traditional, for one who has the discipline, ambition and propensity to sell and create a network of like-minded individuals, there is a goldmine waiting for you. Just make sure you pick the right company! Good luck, my friend! thanks for the clarification about 15F Octagon. i've been invited there several times, and it used to have a bad reputation especially among students. they don't say it's nu skin. now, we know, and i like nu skin. they don't have to keep the info from their invited guests. dapat proud nga sila na nu skin!! 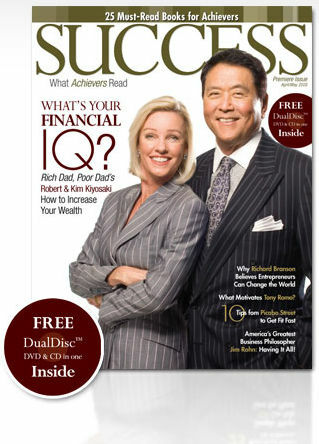 great info on the credibility of direct-selling companies.i love nu skin products by the way! Nuskin is very legitimate company great products, great company and great opportunity!! Oo, bad reputation sila talaga dati sa students, kasi kapag nag-iinvite sila, ang pinapalabas ay job offering. Well, hindi naman lahat ng taga-Nu Skin ganun mag-invite, may mga ilang grupo lang siguro. Hi everyone, would you like to avail the product of energy saving chips to save 20%-30% of your electricity bill? You can contact 09153720986 for more details. This blog and its comments are obviously written by people who are part of this MLM business. Indeed, this organization has taken flak for its apparent deception to students who arrive at the venue expecting job offers. It's really a shame that this behavior irreparably mars an otherwise good industry. Damage has been done and I don't know how the organization would be able to repair its reputation.